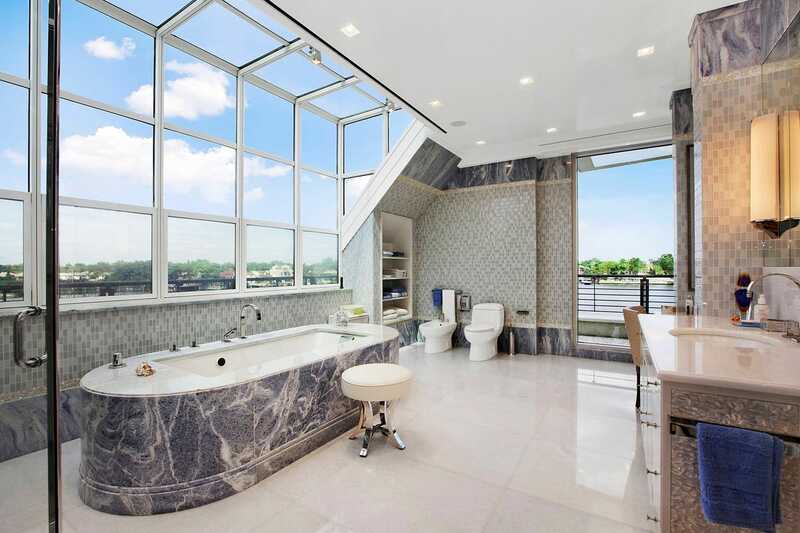 The most expensive home in Brooklyn at $30 million has suffered a steep discount to $17 million, according to Curbed New York. 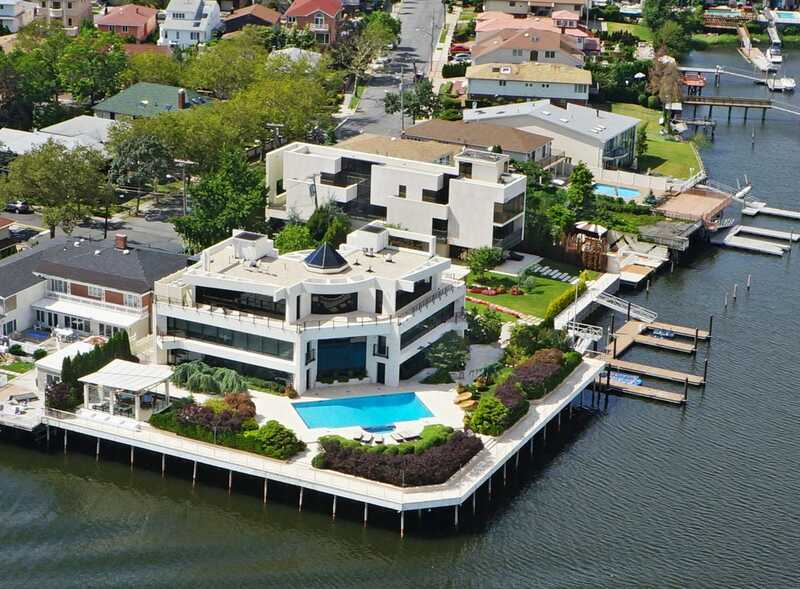 Though it has significantly dropped in price from last year, the Mill Basin mansion keeps its title as Brooklyn’s most expensive property. The chop seems to stem from the fact that the original listing included a guest house on the property while the current listing does not. 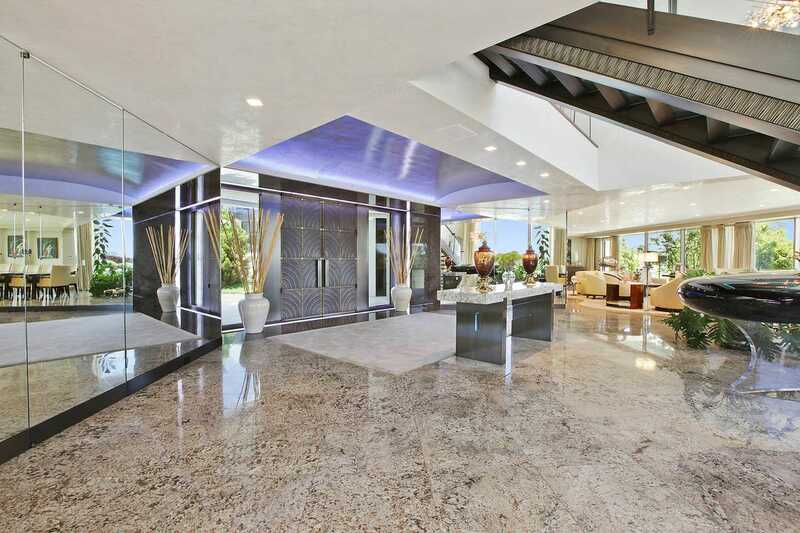 The gated four-story compound includes five bedrooms, 9 and a half bathrooms, and over 14,700 square feet of space. Outside, the mansion has a 1,000-square-foot pool, a 40-person pavilion for parties, and 30,000 square feet of outdoor gardens. 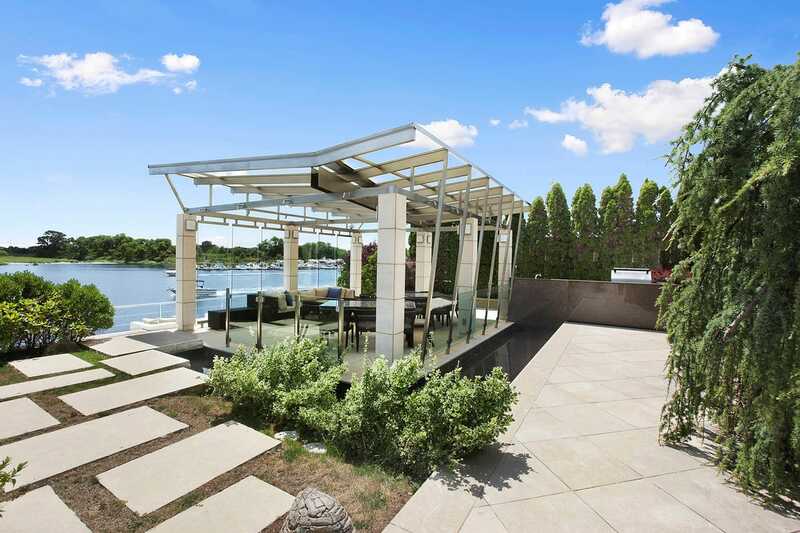 There’s also a downstairs wine cellar, 257-feet of waterside frontage, a four-car garage, and a two-boat marina. It's a pretty nice spread that looks like it could belong in Miami instead of deep Brooklyn. The mansion was originally built and owned by John Rosatti, a multi-millionaire with mob connections to the Colombo crime family. Known as an “earner,” he generated millions for their illegal activities with his car dealerships, according to the Village Voice. He then sold the property to Russian heiress Galina Anisimova (mother of the "Russian Paris Hilton") for $3 million in the late ‘90s after he got caught up in some legal drama for building his home on wetlands. Anisimova remains the current owner, according to public records found by The Real Deal. James Cornell and Leslie Marshall of Corcoran Real Estate Group are currently sharing the listing. 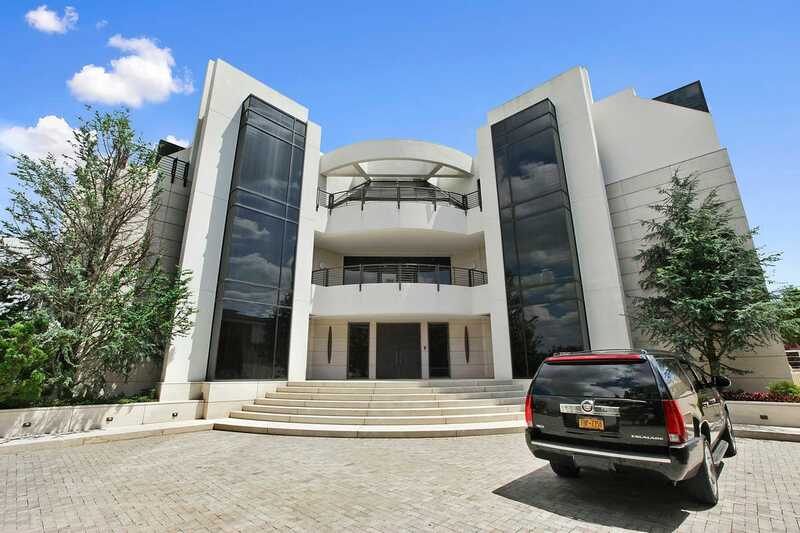 Welcome to 2458 National Drive, Brooklyn's most expensive property. 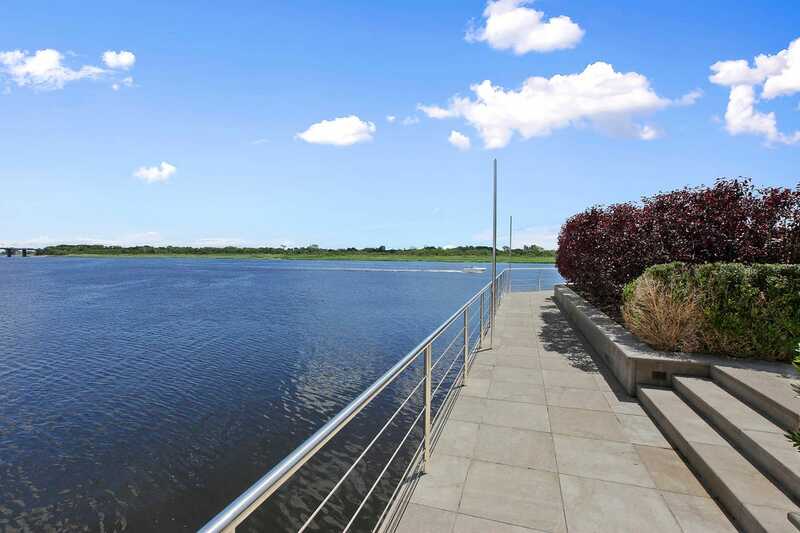 The home is perched right on the Mill Basin waterfront. 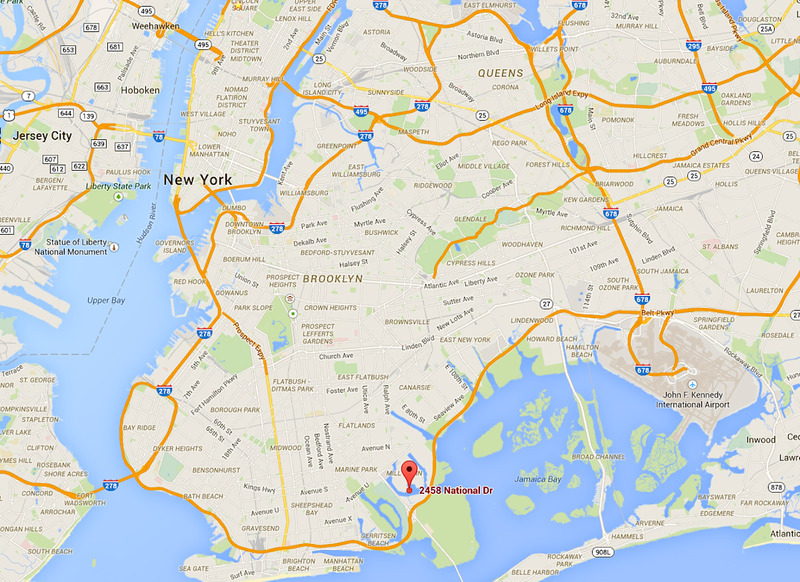 For those who don't know where that is, it's in deep Brooklyn — far, far away from Manhattan. 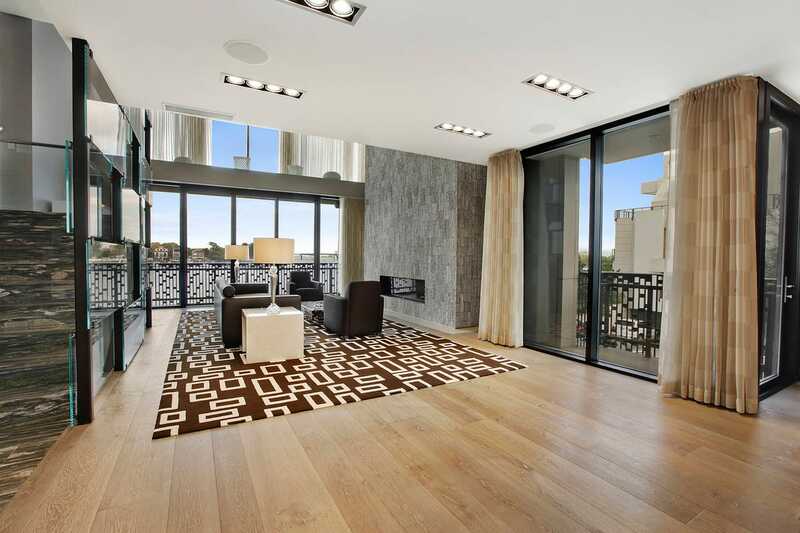 The gated four-story compound was originally listed for $30 million back in 2013. It's now on sale for $17 million. It has four stories and 14,000 square feet of indoor space. In total, there are 14 rooms in the home. 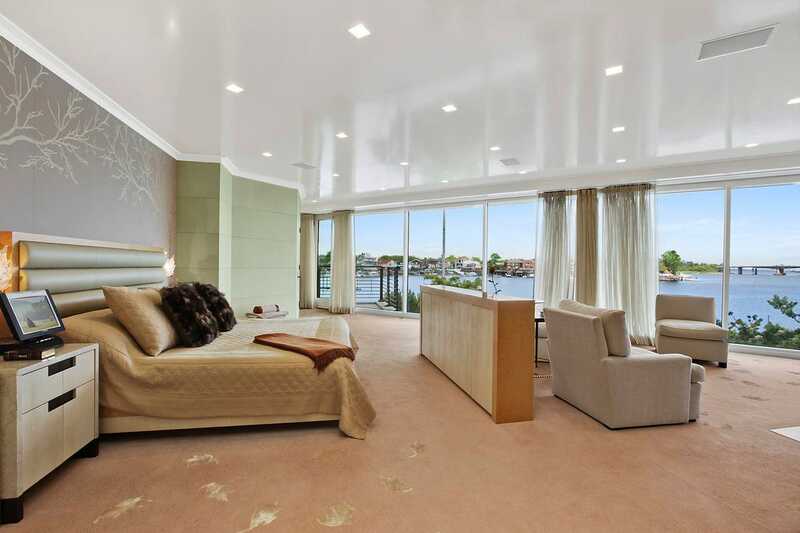 Many of them have stunning floor-to-ceiling windows looking out on the water. 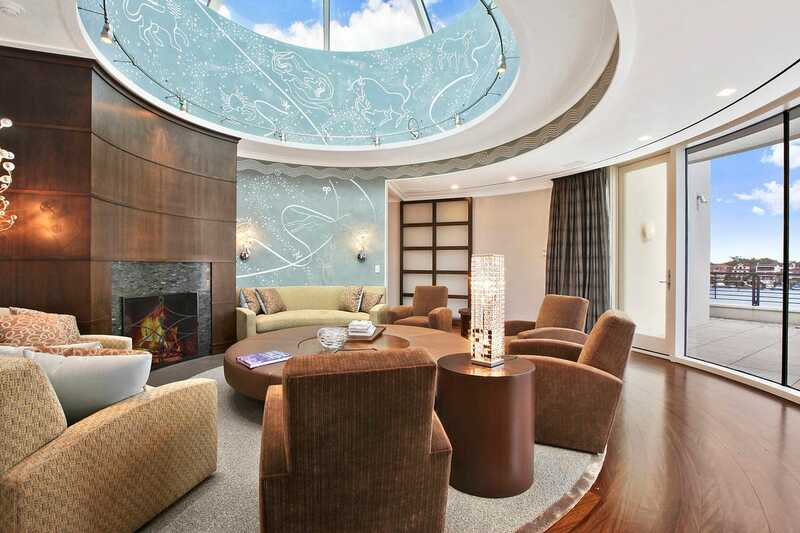 This is the so-called "circle meditation room" with skylight. Fancy. 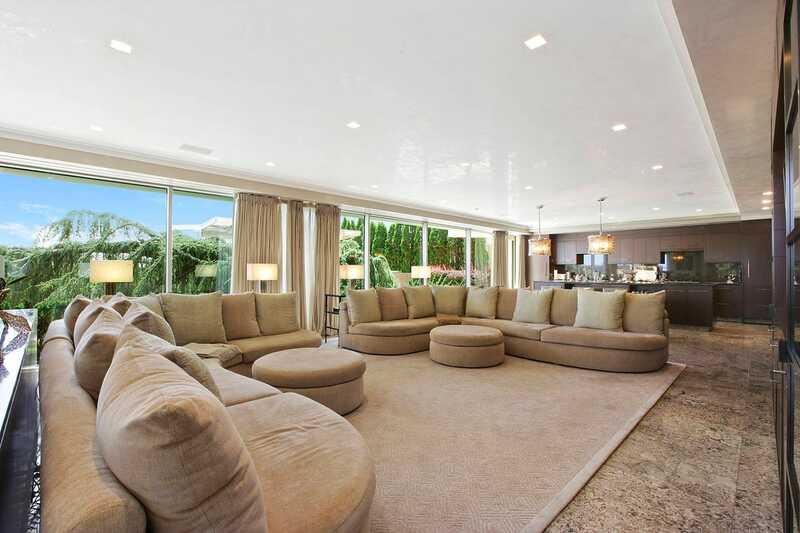 These are the longest L-shaped couches you've ever seen. 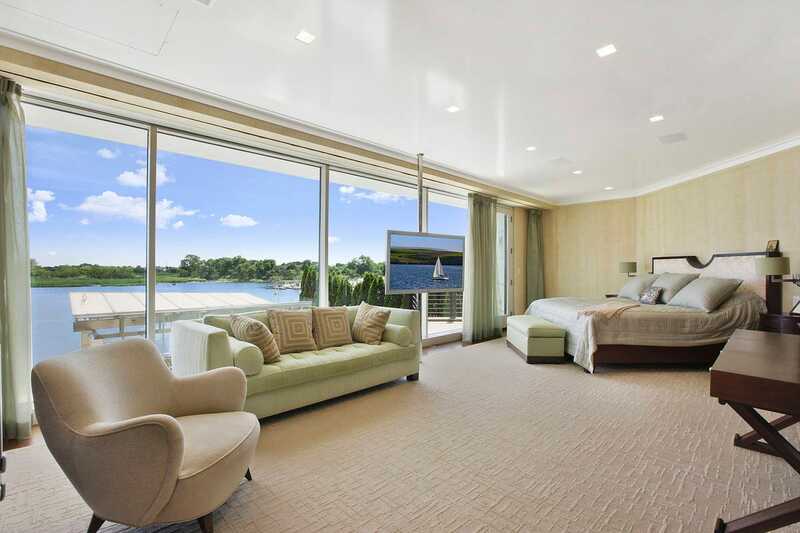 The master bedroom looks amazing with wonderful views and a seating area. There are nine bedrooms in total in the mansion. There are also eight bathrooms and two powder rooms. Outside, the home has a 1,000-square-foot pool and 30,000 square feet of gardens. This little outdoor area would be great for entertaining. 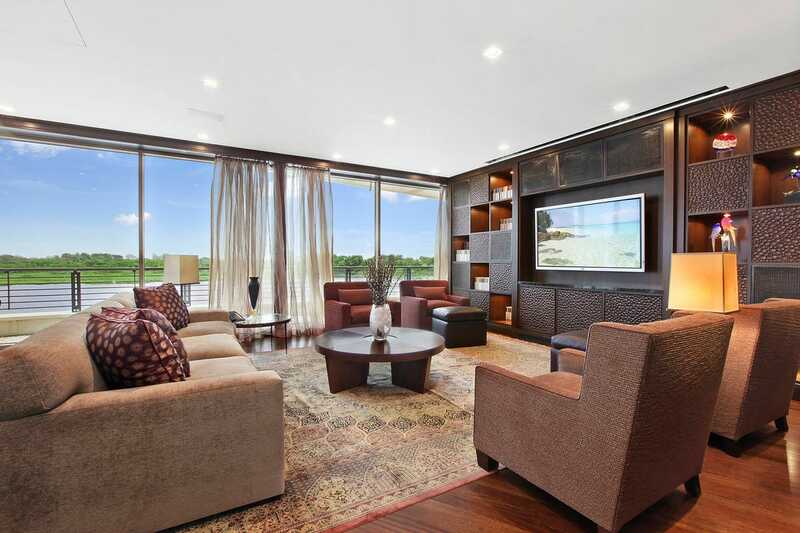 The home also has 257-feet of Brooklyn waterfront.